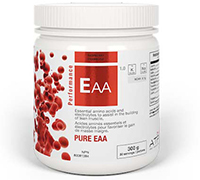 · Source of (an) essential amino acid(s) for the maintenance of good health. · Source of (an) (essential) amino acid(s) involved in muscle protein synthesis. weight/resistance training and a healthy balanced diet. · Adults: Mix product well in 1-2 cups of liquid (water, juice, etc) immediately before consuption. 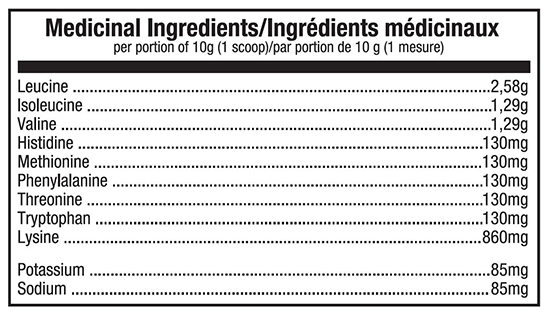 Additional Dosage Information: 1 scoop=10g. breastfeeding, consult a healthcare practitioner before using this product.